Our good friend Dan texted me last week and said he wants to surprise John and come down from Michigan to stay for the night while John gets his chemo. He wanted to give me a break too. I didn’t say anything to John. When Dan showed up today, John couldn’t believe it. It took a little bit to realize that Dan only came to see him. It was a great surprise. The best part came when Dan took off his hat. #haircutofsolidarity John has been joking with his friends suggesting they need to shave their heads too. And Dan did! Five days after surgery, someone is out of bed! 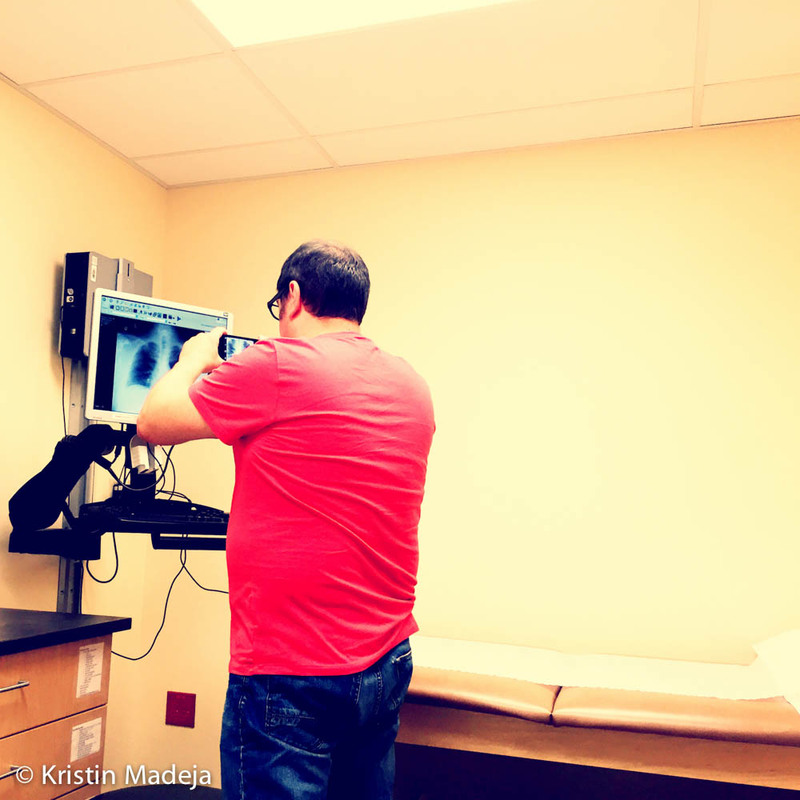 Here is John, taking his annual photo of his chest x-ray. Today, we celebrate him being free of cancer for 7 years!